Jointing Tech are the leading distributor of specialist power cable and accessories, supplying products and services that develop, connect and maintain the U.K’s electrical infrastructure. Jointing Tech’s product range was initially developed around the power cable accessories market to cleat, join and terminate LV and MV cables. This product range remains integral to the business today, however our portfolio has grown to reflect the broader range of materials used by our core customer base across all industry sectors. The product range now includes LV/MV power cables, cable troughing, earthing, specialist tapes and accessories, cable pulling and protection products, an extensive range of power consumables and a specialist range of products for package substations. Working in partnership with leading manufacturers to service the core electricity segments such as Distribution Network Operators (DNOs), Independent Distribution Network Operators (IDNOs), Power Contractors, Cable Pullers and HV Jointers; Jointing Tech offers industry leading technical advice to ensure the right products are selected and the best technical advice is offered for each application. Additionally, Jointing Tech are uniquely positioned to supply products that are approved for use by the relevant distribution network operators (DNOs) across the U.K’s electrical infrastructure. 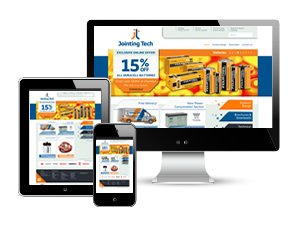 With a national distribution network, millions of pounds in stock available from world leading energy manufacturers for next day delivery and an unrivalled customer service team, Jointing Tech are your first choice for specialist power cables and accessories. Suppliers of Medium voltage equipment for the Electricity Distribution Industry. The best electric underfloor heating solution for your unique project at the best price. 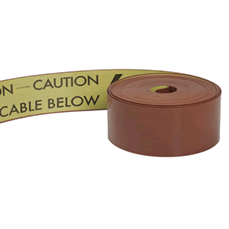 Cable Protection - Tape TileProtect your cables on site with our Tape Tile!